Free to industry stakeholders for use in promoting DAB+ to listeners, the new logo will for the first time ensure consistent marketing of DAB+ internationally. Available via the WorldDAB website, the logo will improve consumer recognition of DAB+ across borders. The logo replaces the black and white DAB logo, which had been in use for more than a decade. Germany, France, The Netherlands, Belgium and Austria are the first countries to use the logo in marketing and point of sale material, with others set to follow later this year. It is already being used by home and in-car receiver manufacturers, public and commercial broadcasters and automotive OEMs. 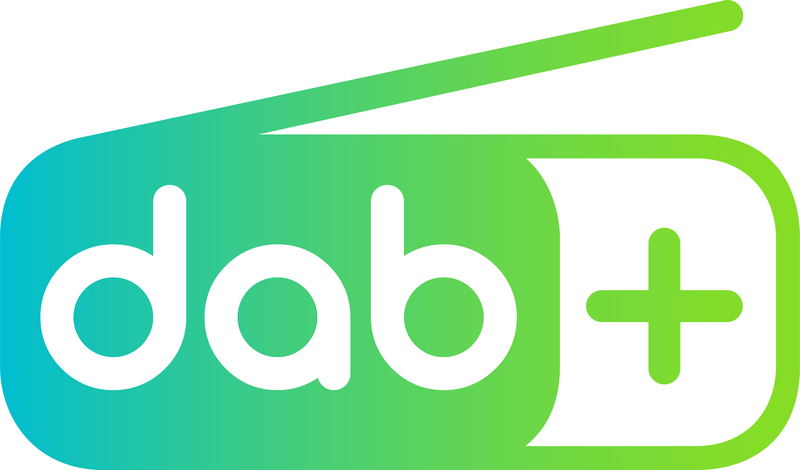 The new logo will help improve consumer awareness of DAB+ and provides clarity to manufacturers, who can benefit from the growing adoption of DAB+ in Europe and beyond. It is available in full colour, black and white and inverted white. The new design embodies the modern, digital way of listening to radio. Based on a universally recognised radio receiver, the logo is supported by modern fonts and a dynamic colour palette to ensure a consistent brand across all communication channels. The toolkit includes design elements and strategies for on-air radio spots, online distribution, social media, point of sale material and consumer advertising. It can be fully aligned to the needs of each market, including the tagline which varies by country. Countries have the option to use “more radio” or to develop a country specific message. The logo works hand-in-hand with the Digital Tick Mark and other technical logos. The new logo and toolkit can be downloaded here after accepting the Terms and Conditions of use. The logo and corporate design was originally developed by ARD in Germany and is now available to all DAB stakeholders.